Contact us to discuss the details of your application — we’ll nourish and grow your idea from concept to reality. Hire a Mac developer today! 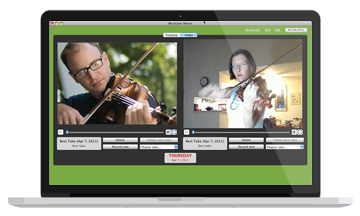 Musicians Mirror is a video‐based desktop application tool for musicians to stream their practicing efforts and make them more productive and focused on their artistic development. Working with HireRussians was an extremely smooth and very professional experience. They are competent and the daily status updates made for a steady workflow. The work they've done for me was excellent in style and know how. We were able to finish the project even before the scheduled deadline. I will work with them in the future and I can recommend them to anyone who's looking for professional expertise to get the work done. 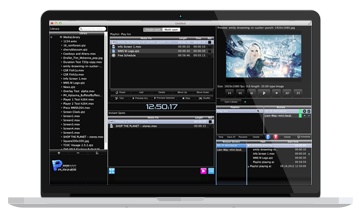 This playout desktop app is intended to manage video streaming on several different displays simultaneously via Mac or Windows-based computer. Intended for shops, restaurants, casinos and other merchants, it allows to create playlists, schedule videos, synchronize and play a single video on multiple screens, or cut the video frame on pieces to divide it to several displays. Great experience with a great development team. The true test has been seeing my creative ideas come to life. These guys communicate better than anyone I've worked with and know how to ask the right questions. They know how to program and can always offer alternative suggestions that I may not have thought about which has helped out tremendously. If you want a successful product use HireRussians you won't be disappointed. 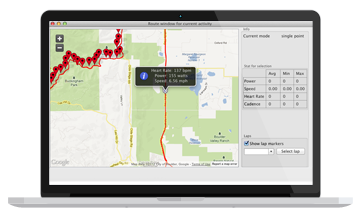 This Mac OS app is intended for training info storage, tracking and visualization. While a wearable device, e.g. Garmin, gathers data on the user's physical activity while he is training, being plugged into a laptop or desktop computer, the device passes data to the Fitness Coach app, which visualises the workout route and displays its characteristics (e.g., speed and heart rate). A custom-built calendar allows to keep workout journal and edit it. Hire Russians did a solid job with both development and project management.